Serving the legal needs of Cape May County since 1986 For more than 25 years, attorney Jane M. Hoy's goal has been to protect her clients' best interests as well as to secure a favorable outcome in their cases. At the law firm of Jane M. Hoy, we are dedicated to resolving client's cases in the most cost-efficient, effective manner and strive to give each client personal attention and care. When necessary, we stand up for our client's rights and effectively advocate for them. 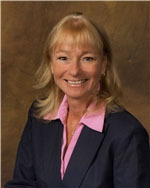 Attorney Hoy has earned a BV Distinguished Peer Review Rating by Martindale-Hubbell for her professionalism and ethics. We can help you with: -Estate planning -Trusts & estates -Guardianships -Wills & probate -Elder law -Real estate -Zoning and planning -Business law -General civil practice We help our clients manage change until they feel comfortable and secure. We pride ourselves on protecting our clients and keeping them safe through difficult times. Respected Stone Harbor law firm committed to clear communication and personalized attention We are responsive to the needs and concerns of each of our clients. We answer your questions directly and precisely and keep you informed about the status of your case. We personally return all telephone calls as soon as we can. Our goal is to bring you peace of mind through personalized service. Preserving your family's wealth for future generations Whether you're planning the parameters of your future medical care or establishing support for loved ones upon your death, Jane M. Hoy can help with all aspects of trusts and estates issues, including: -Estate planning -Estate tax issues -Choosing the appropriate executor -Guardianships -Living wills -Living trusts -Wills drafting -Securing your legacy You work hard for your family, so knowing that you have planned for their long-term well being and financial security can bring you comfort. We thoroughly analyze your estate and strategize the best means of transferring your assets, minimizing taxes, establishing guardianship for your children, caring for your pets, supporting personal philanthropic causes and protecting your loved ones. Draft your living will and last will and testament A will is essential at every stage of your life. Your living will sets the parameters for medical intervention should you become incapacitated. This assures that when you are most vulnerable, your wishes will be honored. Your last will provides the opportunity to distribute your property, establish care for your children and otherwise express your wishes upon your death. A will is necessary if you intend to leave property to a person or entity other than a blood relative, such as a domestic partner, a friend or a charity. If you die without a will, the court determines how your property is distributed, who cares for your children and even what happens to your pet making decisions that might not reflect your desires. We can draft valid wills that ensure your intentions are honored. Changing your will As your life changes, so might your estate plan. You may need to update your will throughout your life. We draft valid codicils that address changes in your financial situation, marital status, number of children, philanthropic interests and general lifestyle decisions. Appointment of guardianship If you have minor children, your will allows you to make decisions about their future care. This is especially crucial if you are a single parent or if both parents die in a common incident. If you do not name a guardian, the court will appoint a guardian for your children and can make decisions adverse to your ultimate parenting goals. You can also make arrangements for your pets' care in your will, including naming a guardian to take responsibility for your pets. Solicitor, Borough of West Cape May, Joint Planning and Zoning Board, 1995 - 1999. Seminar Speaker on Estate Planning, Holy Redeemer Foundation; Estate Planning Council of Burdette Tomlin Memorial Hospital (1996 - 1998). Pro Bono Counsel: Stone Harbor Parent Teacher Conference, Inc., 1998; Stone Harbor Lions Club, Inc., 1989 - 2001; Women's Civic Club of Stone Harbor, Inc., 2003 - 2008; Stone Harbor Chamber of Commerce, 2005; Supreme Court of New Jersey, District 1 Ethics Committee, 2007 - 2011.